This kit includes the wide array of fabrics from Terrarium Fabric Collection by Elizabeth Hartman and the Essex Linen background. It also includes all of the fabrics to complete the quilt top as shown (more than 23 yards in all!) 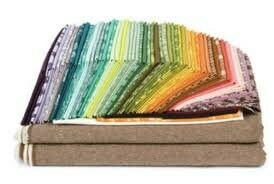 including binding. 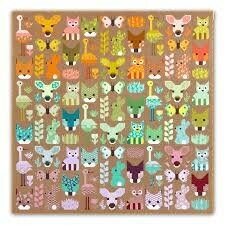 This pattern includes a big variety of animals into one CUTE quilt! Measuring a large 96" square, this quilt is sewn with simple straight lines (I know, right?) and diagonal seams. 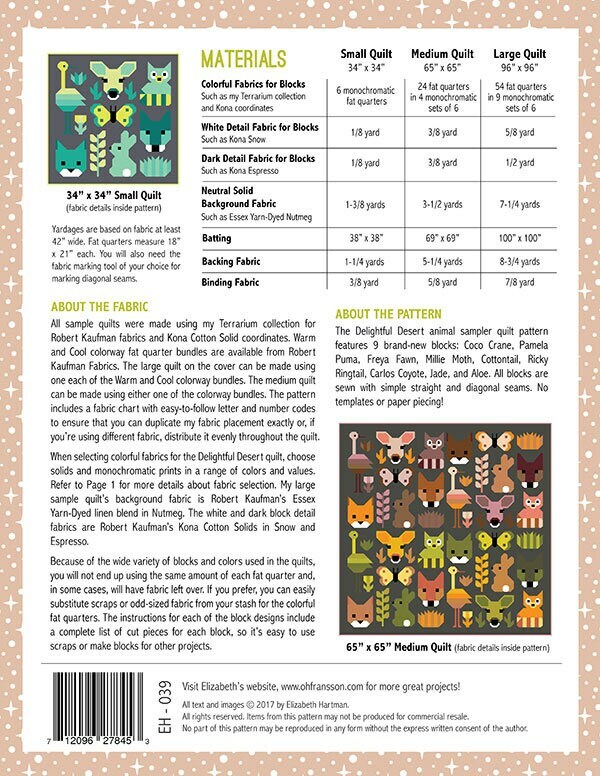 Featuring the Terrarium Fabric Collection by Elizabeth Hartman for Robert Kaufman fabrics, there are no special rulers, templates or paper piecing! 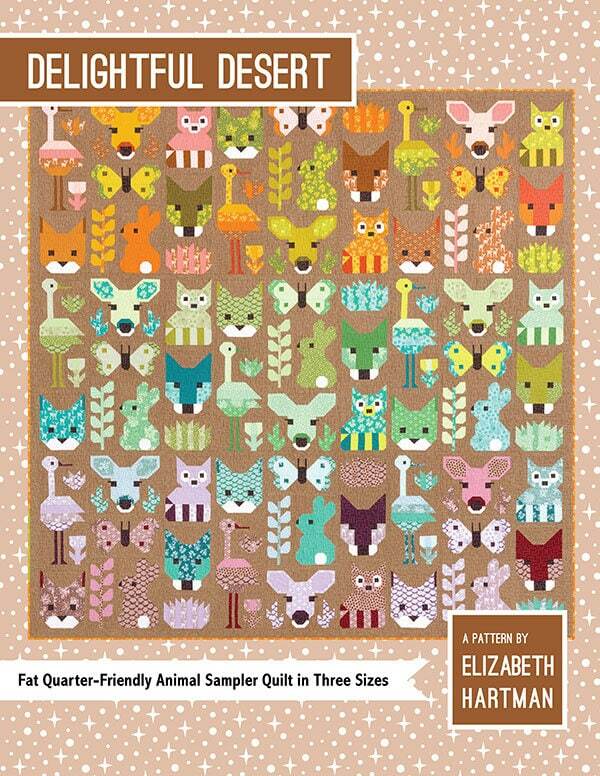 This is also perfect for the confident beginner quilter and fun enough for the savvy quilter as well. I was able to get these at a special price and I'm passing the savings on to my customers!